Here’s why the DrainKing™ Reigns Supreme. 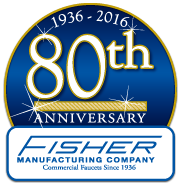 A fourth generation California Company, Fisher has made a committment to use as little of our natural resources in the production of products as possible. Learn why the company keeps quality at the forefront and retains loyal and talented employees for decades. Check out the latest news from Fisher!